Is your Scania always rejected for MOT in the event of window damage? 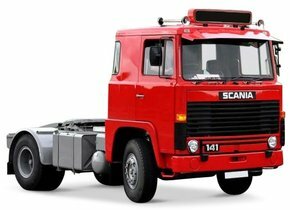 The Swedish car brand Scania was created in the year 1891 in Malmö. In the first instance, however, it was not a car brand at all, but a bicycle brand. Starting in 1903, the first cars were produced, while two years later, the first truck was also rolling off the tyre. Over the years, Scania has become one of the leading manufacturers of not only heavy commercial vehicles, but also buses and engines. These engines are developed not only for industry, but also for shipping. Despite the fact that Scania may not immediately belong to one of the best known brands in the world, she managed to sell 80,000 vehicles in 2015. Are you also the owner of a Scania? In that case, the information in this article may undoubtedly be of particular interest to you! As has just been said, over the years, many different Scania vehicles have been launched on the market. All these cars are used quite intensively because they have a place in the business world. The chance of damage to the car at some point in time is therefore always real. This damage can occur on many different parts of your Scania and therefore also in the car windows. Your Scania windscreen is particularly susceptible to this. This is because damage often occurs in this window due to rubble. In this way, an asterisk or crack is created that may obstruct the driver's view. 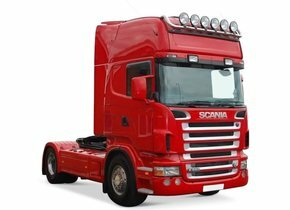 However, the windscreen replacement of your Scania is not always an immediate requirement. It is a common misunderstanding that a windscreen replacement for a Scania in case of damage is always necessary before going to the MOT control. This is not the case. The exact location of the asterisk or crack should therefore be looked at in particular. Is it located in the sight of the driver and is it not repaired in time? In that case, there will indeed often be a disapproval for the MOT. Can the damage caused by rubble be found in one of the corners of the windscreen? Then this does not have to be a problem right away. You can then wait for the windscreen replacement of the Scania for a while. Please note that a damaged car window can always involve a certain risk, so it is always recommended to repair the window damage in good time. The fact that Scania has been particularly well known because of its trucks ensures that people always fear a big price for a damaged windscreen anyway. However, this does not always have to be the case. Did you know, for example, that a windscreen replacement of a Scania is also perfectly possible using an after-market car window? Such automotive glass can be ordered from Autoglas Concurrent and is much more interesting in financial terms. In addition, a windscreen replacement of a Scania with an after-market car window means you don't have to fear a loss of quality, on the contrary. Both the factory and the production line are exactly the same. Moreover, the after-market car windows sold with us are always produced according to the strictest European quality standards. 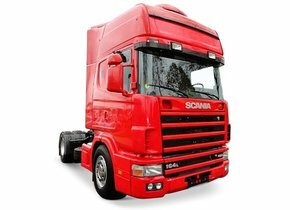 You can do the windscreen replacement of the Scania yourself as a hobbyist or garage owner without any problems. We can also be of service to you. In this situation, you are still at the right address with us for simply buying a cheap after-market car window. It makes the windscreen replacement of your Scania a lot cheaper at the same time, while there is no need to surrender in terms of quality and reliability. We regularly supply individual car windows to hobbyists and garage owners, making us an excellent partner in this area as well. Do you want the windscreen replacement of your Scania done by a real expert? We call on one of our certified partners to replace your damaged windscreen. In this way, we can not only provide our customers with the most interesting price, but also offer the prospect of optimal quality and efficiency. Is it also important for you to be able to get back on the road as quickly as possible after a windscreen replacement? Our certified partners can realize this effortlessly for you and even get to your location! 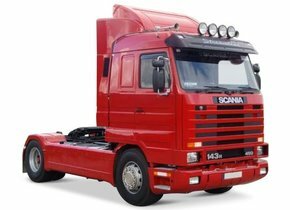 Do you also want a windscreen replacement for your Scania? Do not hesitate any longer and call on our excellent service!